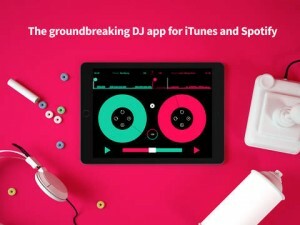 Pacemaker DJ iPad App Review. And the coolest part is not that you can add another song to the mix, and combine the two. But Pacemaker DJ also suggests which song you should pick that would go along best with the first song you chose. I found this option to be extremely cool, and clever. Especially if you don’t have so much experience with mixing, and you can’t yet really tell which sounds make a good match, and which not. Then, when you’re happy with what you’ve got, press the Record button, and start mixing your songs together, adding all the cool effects in store. But that’s not all. Besides being able to easily share your new mix with your friends, you can also use the mix in other mixes. 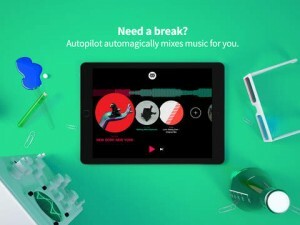 Once it’s saved, your mix becomes an actual song you can later combine with any other song of your choosing, and compose an even more creative mix, with a fresh and unique sound. And all this can be done totally free of charge, just by using the basic options Pacemaker DJ has to offer. However, if you’re looking for a more complex sound, Pacemaker DJ also has a couple more sound effects up for grabs, for $1.99 each. Watch how every one of these sound effects works, and try them yourself. Unfortunately, you can’t try them on a song of your own choosing, but you get a pretty good idea by trying them on with the predesignated song. Plus, every sound effect is also explained in detail. So, if you decide to buy one of them, or the complete pack, you probably won’t regret it. Now, Pacemaker DJ is a pretty cool app, and I liked a lot of things about it, but I think others are in need of improvement. Although it’s got a real cool design, with pretty simple controls, basic stuff like saving, deleting, or starting a new project (once you’re done with the previous mix) are quite confusing. It’s really nice that Pacemaker DJ offers a Tutorial for every sound effect you can purchase, but there’s none guiding you through the mixing process, when you turn on the app for the first time. It’s true, you figure most of the things out on your own, quite quickly. But there are others you just can’t get straight. And I think a Tutorial would not only solve this problem, but also make the entire experience more smooth, and pleasant. 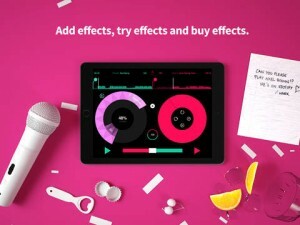 All in all, Pacemaker DJ is better than a lot of other song mixing apps I’ve tried, but not the best. It’s got potential, there’s no doubt about it. But there are a couple of steps more that it needs to follow to reach its peak. What do you think of Pacemaker DJ? Scroll down for our comment section and let us know!